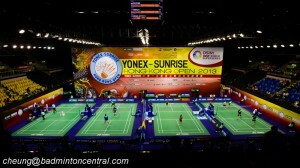 You have stumbled upon one of the greatest badminton community on cyberspace. Every day, thousands of badminton players, lovers, fans and aficionados converges to check out on the latest news, articles, video and discussions. This is where it is all happening. Badminton Central was founded on December 24th, 1998, in the middle of a snowstorm in Pittsburgh, Pennsylvania. Into the middle of the night, fueled by not only energy bars but also with passion and a desire to give badminton its rightful place on the internet, the humble beginning of BC was born. Over the year Badminton Central has grown into one of the most well know of badminton community thanks to a team of moderators and contributors. So go forth and check out what we and everyone has to share.